Reliance Industries (RIL), which owns the world's largest refinery, appears to be making a shift towards consumer businesses, while Saudi Arabia has been taking conscious steps towards de-linking its economy from oil. The two strategies--one corporate and the other national--could find a point of convergence to make way for an RIL-Saudi Aramco deal, news reports suggest. Aramco is a Saudi-owned petroleum company, which Bloomberg recently reported to be the most profitable in the world. According to a Times of India report, serious discussions are on between the two companies for a 25 per cent stake in RIL’s refining and petrochemicals business. The report pegged the value of the deal at $10-$15 billion. RIL declined to comment on the reports. This is not the first time reports about a possible deal between the two companies have emerged. “These talks have been around for two to three years now,” said an industry expert who does not wish to be identified. Aramco also plans to invest in building India’s largest oil refinery on the country's west coast. With a profit of $111 billion in 2018, Aramco has enough funds to pick up a stake in RIL’s refining and petchem business and also invest in the mega refinery, say experts. RIL’s total market capitalisation stands at Rs 8.53 trillion as of 2:28 PM IST on Wednesday. The refinery project that is to be developed by three domestic oil marketing companies -- Indian Oil, Bharat Petroleum and Hindustan Petroleum, along with the two foreign players -- has been facing challenges in acquiring land. “Saudi has been making sincere efforts to pick up stakes in business not related to oil -- for instance SoftBank and electric vehicle companies. In addition, with India’s growing demand for auto-fuels, major global oil companies see it as a de-risking opportunity,” said the person earlier quoted in the story. 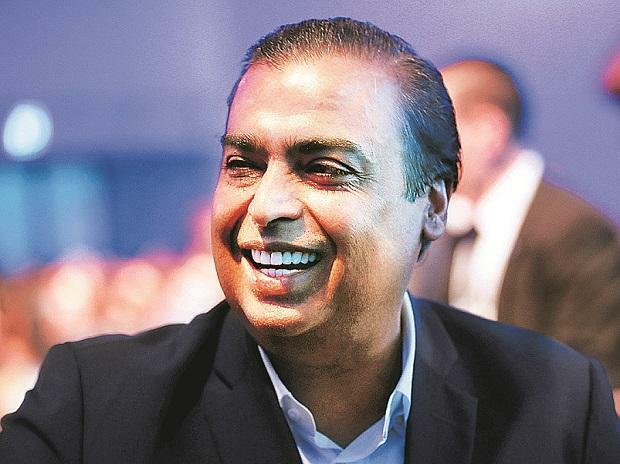 RIL is expanding its retail, telecom and other consumer businesses aggressively. Industry experts believe RIL will not invest further in oil and gas in a significant way and even if it does -- it would utilise investor funds and not the company’s or its shareholders' money. Some expect the company to use the rumoured deal to fund an expansion of its Jamnagar refinery. RIL is considering a plan to boost its oil-refining capacity by about half, a Bloomberg report said in a November 2018. While a stake sale would bring the company upfront funds, it could also change RIL’s profit profile. For the December quarter, the conglomerate’s petrochemicals and refining segments together contributed more than 70 per cent to its total earnings before interest, taxation, depreciation and ammortisation (Ebitda).